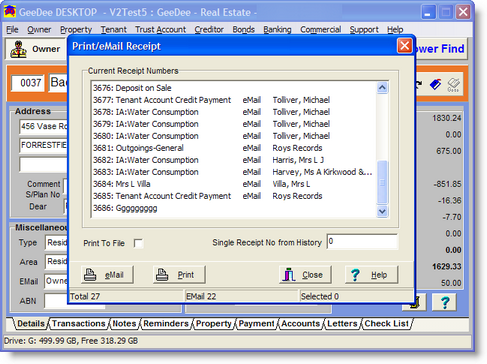 Highlight the receipt to want to sent and click eMail or Print. Note: This only shows receipts from the current period. 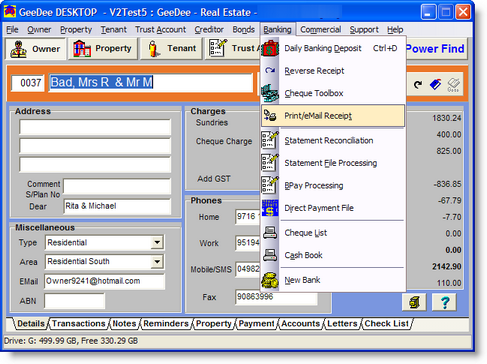 Enter in a receipt number in the Single Receipt No from History field for history receipts. Checking Print to File will save as a pdf to GDReports.